Equipped with a triple-stage turbine and a single phase motor with condensers. Ideal for liquid suction. 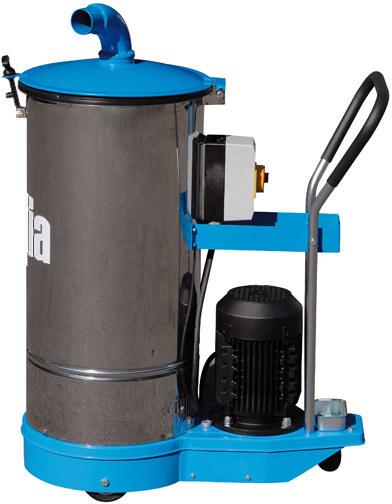 Extremely efficient despite its small size, the S1000 is equipped with a high performance turbine suction pump which allows for the collection of dusts and solid materials. Can be connected to pre-separators to increase their collection capacity. 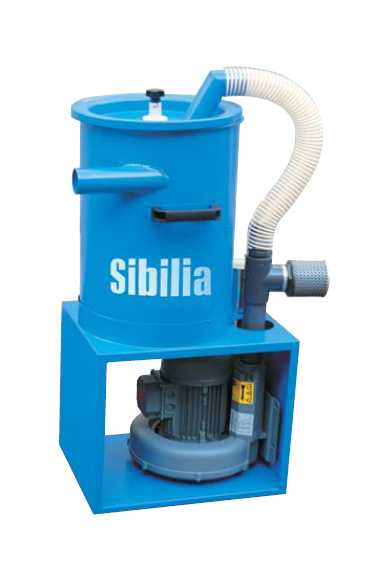 Ideal for the suction of dust and solid materials. Composed of a suction unit with a high performance turbine. Single phase motor with condensers. Low power suction unit for fixed applications on public works vehicles, in production processes such as die presses and in the suction of trimmings , finishing powders and small bits. Unit ideal for continuous use.